With more than 10 years of maturing through industrial use and standardization, the Testing and Test Control Notation (TTCN-3) has become a widely used technology that many businesses depend upon for ensuring their product quality. With the rising number of supporters and tools, the demand for a means to assess the standards compliance of TTCN-3 tools has increased. 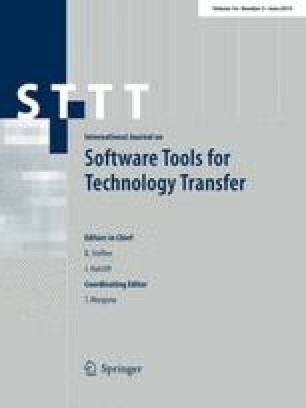 In this article, we describe the motivation, approach, methodology, and results of the still ongoing project to develop a standardized conformance test suite for TTCN-3 tools. We discuss the challenges involved in creating such a test suite, the way to deal with imposed resource limitations of the project, and where we think the effort is heading. B. Zeiss was previously affiliated to the Software Engineering for Distributed Systems Group of the Georg-August University Göttingen. We would like to thank a lot of people and persons from companies, institutes, and persons who supported this work and who provided valuable feedback (no specific order): ETSI, Conformiq, Jens Grabowski (University of Göttingen), Testing Technologies, Broadbit, Elvior, MTP, ISPRAS, Ericsson, Fraunhofer Fokus, Telecom Italia. We apologize for anyone we have missed to mention.